3) Claims – in a timely manner. As with many of us, I read and follow a lot of news on Insurance and Insurtech. Every day, my LinkedIn feed and email inbox is flooded with Insurtech news, including new investments in start-ups, new Insurtech partnerships formed, expansion of start-ups into new markets/states, etc. I love reading all of this – as it shows the growing level of awareness of how new technology solutions can enhance the customer experience and also help companies with operational efficiency. I am a huge fan of what the future entails. However, I am also cautious of the risks currently present in the world of Insurance (and the world in general!). Currently, the pace of change and adoption of Insurtech solutions is faster than ever before. It seems there are no signs of slowing down. However, as with any good plan, it is important to have risk mitigation and contingency plans. As mentioned in last weeks’ post, the new technology solutions that we are building for the Insurance industry (i.e.Insurtech), are just an enabler. It’s not that these solutions don’t matter…But, if the risks are not managed properly and plans are not in place for these solutions, then the progress of the many Insurtech initiatives may slow down, or in some cases, not be around to matter. What are some risks as it relates to Insurtech? I will focus on three, which have been themes in the news for the past couple of months. In fact, these are risks that exist in our industry regardless of Insurtech. Since 2008, global stock markets have been on a tear. It’s no wonder that there is so much money pouring into Insurtech investments. What happens if there is a market correction and we go into another global recession? Will we see the same sort of investment in Insurtech solutions as we have been seeing? And that’s just the equities market. What about fixed income? In this FT article from August, Chubb’s CEO Evan Greenberg warns about the low interest rate environment, and its effect on Insurers. He says, ‘Many companies are not earning their cost of capital — and many are losing money, or will lose money in the future’. This is a big deal. This may have an impact on an Insurers ability to pay claims in the future. Obviously they will have to keep their solvency requirements due to regulation, but if this continues, we could see massive premium hikes for customers and/or withdrawal from certain product lines. Stock markets and fixed income aside, the next big risk that could impact the progress in Insurance and Insurtech has to do with climate change. Over the past few months, we have seen Hurricanes Irma, Maria and Harvey ravage much of the Southeastern US and islands nearby. California has been blazing in fire over the past few weeks. In other parts of the world, there have been many natural disasters too. I’ve seen a number of articles on this subject. They range from ‘how to claim from your Insurance company in wake of natural disaster’ to ‘how much insurers will be out of pocket for weather related claims’. With climate change increasing, the unknowns also grow. I’ll admit, I’m not an expert in catastrophe pricing, but I would suspect that this increasing factor will make it much more difficult to price products in the future. So, equities may fall. Interest rates may not come up. And natural disasters could be on the rise. These risks are big, but the last one could take the cake: regulation. Last week, as it relates to US health care, President Trump signed two executive orders – one which will allow customers to purchase cross state border and one that limits funding for Obamacare (though that seemed to change course yesterday). The impact that these have on the US health care and Insurance market is unknown for now. This is a topic that deserves it’s own write up and I plan to cover this sometime in the near future. Regulation can really screw things up; if not looked at properly. I wrote about government collaboration a few weeks ago. Some governments are more open to collaborating with with incumbents to better understand Fintech and Insurtech. However, for those of us that have worked with regulators, we know that their minds can change quickly and knee jerk reactions can be made, forcing our plans to change. For some lines of Insurance – mainly P&C, Insurtech has a huge play, and there are many opportunities to disrupt and change the current Insurance value chain. If autonomous cars come into existence, the whole auto Insurance industry will change. For property Insurance, smart homes and devices to monitor buildings will help to better optimize pricing and policies for consumers. For travel Insurance, Insurance to protect material objects (Mobile phones, electronics, etc), UBI and Insurance for the sharing economy, there will be opportunities to disrupt and enhance the customer proposition too. For Life, Health and Catastrophe, it becomes a different story. We see a lot of term life online, but what about whole life, universal life, annuities etc? What about other, more complex products for individuals/businesses (Disability, Long Term Care, Commercial)? My biggest worry comes from within these types of products. My years in Insurance have primarily been on the Life, Health and annuities. The pricing structures of these types of products have a longer tail than P&C. Health is annual renewable, but the cost of healthcare and frequency of visits to doctors have been increasing, which will make pricing more difficult. First and foremost, every start-up and incumbent needs to have a risk mitigation strategy and contingency plan as it relates to their Insurtech initiatives. It is easy to get caught up in the excitement of what we are doing, and talking about risk is not always the most ‘fun’. The risks above are just a few macro ones. 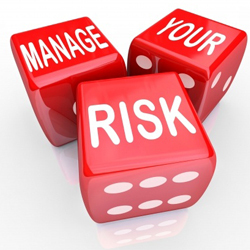 Each company and each initiative will carry its own set of risks, which need to be assessed accordingly. Secondly, collaboration continues to be key. Especially cross-border collaboration. We need to share best practices globally. Regulators will also need to continue to work with incumbents and start-ups to understand the solutions being put in place and risks to customers. Thirdly, actuaries need to get with it – quick. They need to use their skills of actuarial modeling and work with the data scientists out there to better understand all the data points available to them and how this can be incorporated into pricing models. The marrying of actuarial pricing principles and data science will be one of the most powerful forces of change in our industry. Incumbents have been managing risk for hundreds of years. The nature of managing risk has changed with the explosion of data. It’s no longer about just looking at what has happened in the past and predicting what will happen in the future. Let’s also get underwriters in this conversation. We need to find opportunities to know what is working where, and what is also not working, so we can plan accordingly. We are all in this together, and we need to help enhance our industry together. We all have a collective responsibility, ultimately, for our customers. Previous Where is all the behavioural thinking in SME fintech?